Styled with cézanne pant and odette trench coat . 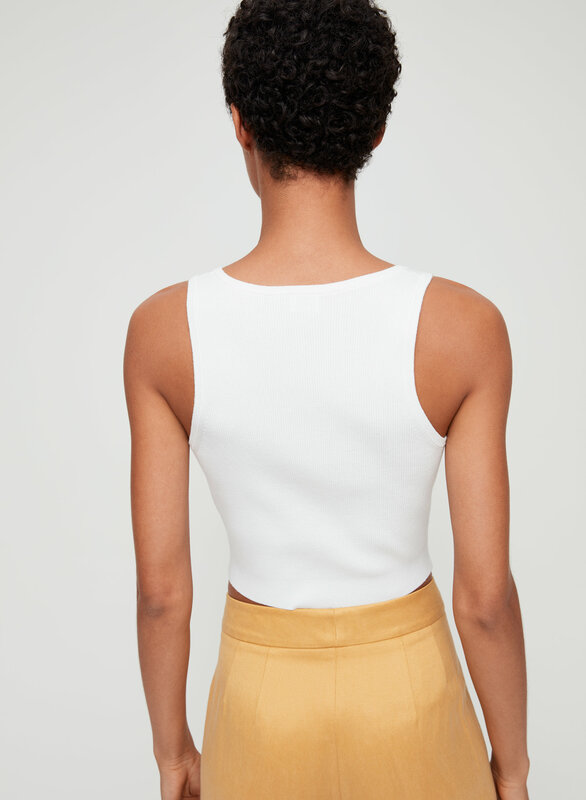 When you want a sweater-tank type thing. 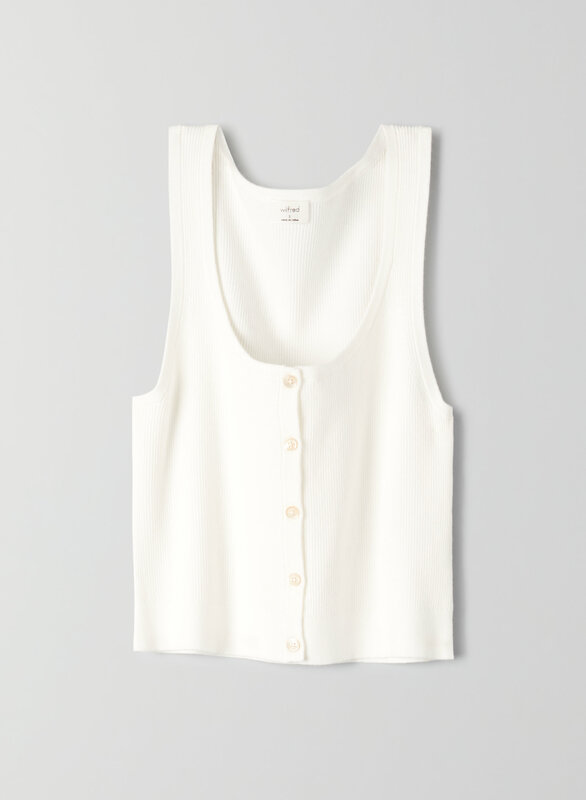 This is a knit tank with a button front and wide, bra-friendly straps.